﻿﻿﻿﻿﻿﻿﻿﻿﻿The other night I attended the Josh Groban Concert at the Air Canada Centre in Toronto with my wife and a few friends. We all had a great time and were lucky enough to have seats where we could look down directly onto the main stage. I really enjoyed the show and only had a few issues related to having Becker’s Muscular Dystrophy. These issues I faced really helped me learn a valuable lesson which I was only able to learn thanks to attending the Josh Groban concert. Now in the past when my wife and I have attended concerts at the Air Canada Centre and I only struggled a little bit when climbing the stairs to our seats. But the other night I learned the hard way what a difference a few years can make since last night I faced what could have been the biggest challenge of my life. 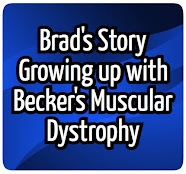 In the last few years I have been in denial concerning the progression of my Becker’s Muscular Dystrophy and the other night I paid for it dearly and it is no one else's fault but my own. Now I am happy to say I didn’t get hurt or anything and luckily all I suffered from was the embarrassment of people seeing me struggle so much just to climb up a few steps to exit the arena. My troubles all began the second I tried to stand up from the seat I had been sitting in for the past three hours. You see I wasn't able to stand up or stretch my legs at all during the entire concert so my legs became so weak that I just couldn't get up. It was like my legs had lost all of their strength and this ended up creating a really awkward situation for me. At one point while I was climbing up these steps a concerned older lady asked me if I was ok and the only thing I could say to her was I guess I shouldn't have sat down here. Now eventually after sometime struggling I did make my way up the steps to the exit but the whole situation frustrated me. Having to go through what I went through the other night really helped to confirm my belief that stairs are my worst enemy. When it comes down to it I put myself in this situation and I am the only one to blame for not requesting accessible seating. I really made a big mistake not taking advantage of the Air Canada Centres Accessibility policy. Now just a few days before the event I actually discovered that when a person with a disability attends a concert event at the Air Canada Centre they do have the option of purchasing tickets that guarantee them accessible seating. And I also found out that anyone attending an event who has a disability but doesn`t have a ticket for accessible seating can simply speak with Fan Services and they will see if they can assist in accommodating your needs. The mistake I made was being somewhat reluctant in speaking with Fan Services about my issues for some reason I really didn’t want any special treatment plus at the time I was unaware of the struggles I would face at the end of the night. I really believe that attending the Josh Groban concert last night taught me a valuable lesson to not be ashamed of my condition and that sometimes it is ok to ask for special accommodations. What I should have done when I arrived is gone straight to Fan Services and requested accessible seating but instead I was too embarrassed to ask and the funny thing was that to the right of where we were sitting there was an accessible seating area that was completely empty. In the end I learned that I need to accept the facts that I am not the same person I use to be and that now is the time to start taking my issues a little more seriously and that it is not a good idea to put myself in situations that might put my safety at risk. Unfortunately on this night I had to learn the hard way that Accessible seating would have made a big difference. 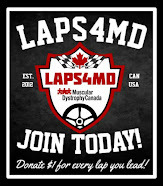 Muscular Dystrophy and MS are different medical conditions, so why the confusion?